Celebrate the last ten years of RADAC by clicking on the link below! NEW! Subscribers to RADAC now benefit from an open access to Theatre Records! Become a member now by clicking on “Membership/Contact”! The programme and the registration form for the international RADAC conference “Crossing Borders” are now online! The Call for Papers for RADAC’s 40th birthday conference is now available here. 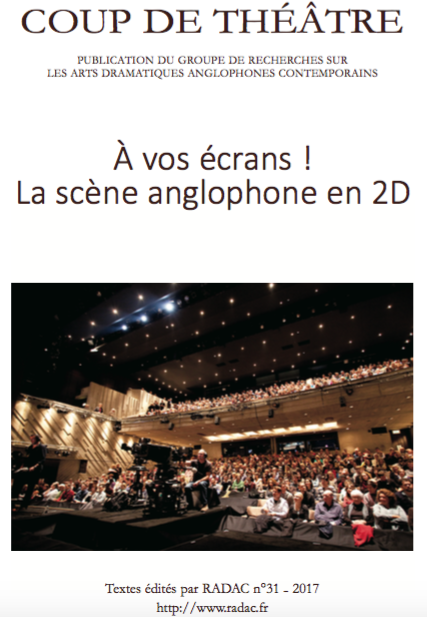 This bilingual volume, a first of its kind for the journal Coup de théâtre, addresses the innovative subject of the filming of Anglophone theater. Via case studies and the analyses of major institutions’ policies (the Metropolitan Opera in New York, Globe on Screen and NT Live in London, among others), it helps define this up-and-coming art form. It particularly examines how the audiovisual recordings and broadcastings of live performances influence, or even redefine, audiences – the general public, but also “micro-audiences” such as spectators with behavioral disorders or non-English speaking Shakespearean scholars. It also highlights the manifest evolution of the work of artists who must now deal with the new dimension that this technology brings about. The academic contributions presented here are illustrated and complemented by testimonies from practicing professionals, such as the script that director Dominique Thiel used for his filming of Reginald Rose’s play Twelve Angry Men for French television in 2010. The archives from Coup de Théâtre, Radac’s annual journal, are available online and can be accessed for free. 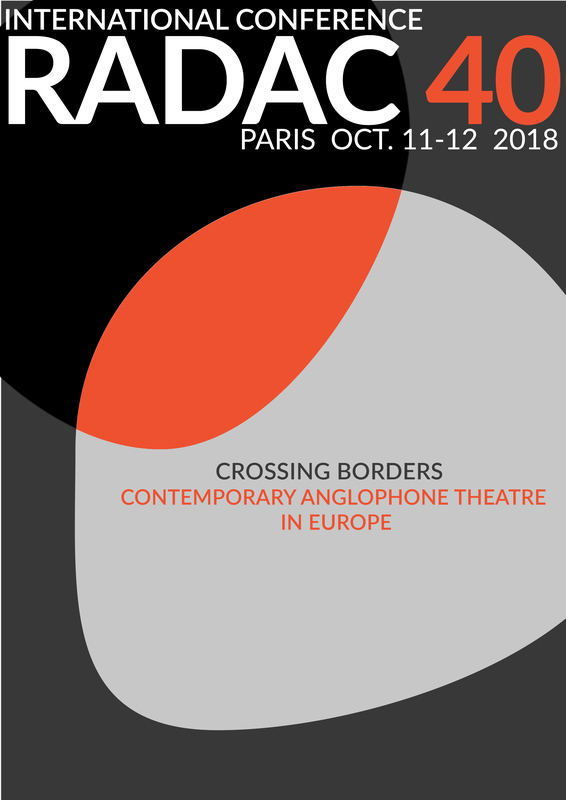 Almost 40 years of RADAC’s work is accessible to scholars, students, professionals and all the lovers of anglophone contemporary theatre!